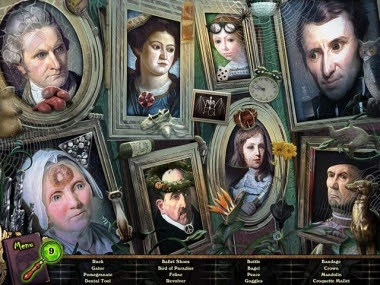 Play a remarkable point and click downloadable hidden object game, Redrum - Time Lies created by Anarchy Games and available at BigFish Games. 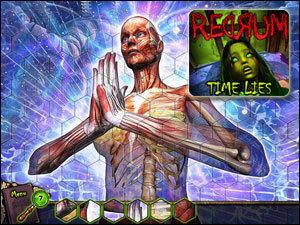 Redrum: Time Lies is a disturbing, creepy hidden object game, so walkthrough Video Guide & Tricks will help you to play the game easily. Here is provided walkthrough that includes tips and tricks, helpful hints, and a strategy guide for how to complete Redrum: Time Lies. There is a powerful psychological murder mystery in this game which will ask you to be diligent enough to find the truth. It is a good chance to challenge their own intelligence, for those who like to travel around in the virtual world. In this game, the twisted and evil Dr. Sigmund Fraud has been released from the asylum, and is up to his old tricks. Help Detective Ravenwood track him down and end his terrible crimes in Redrum Time Lies. 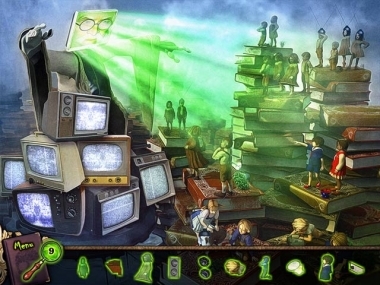 Free the souls of Dr. Frauds victims from their nightmares by diving into this Hidden Object Puzzle Adventure game. Put an end to Dr. Frauds cruel experiments once and for all by exploring eerie nightmares. Read full Redrum: Time Lies Walkthrough on www.bigfishgames.com. Warning: Redrum - Time Lies is an intense psychological murder mystery intended for mature audiences! Remember: Use the Map to travel to each area to avoid a lot of clicking back and forth. The Map is located at the lower right, just to the left of the Inventory/Item Count button. You can change players by clicking on your username in the middle of the screen. Ten player slots are available at the same time in this game. You can adjust the music and sound FX volume, set screen modes, and adjust visual quality. You can see the credits and cast from the credits in the main menu. There are two types of playing styles for this game. The “Relaxed” mode lets you click as much as you want, while the “Paranoid” mode penalizes you for excessive clicking. After finishing every mini-game, there will be a hint icon hidden somewhere in the level. The icon looks like a magnifying glass. You can skip any of the puzzles by waiting for the skip timer in the bottom right corner of the screen to charge. If you get stuck, then go to any patient’s room and look for cards that still have sparkles. Sparkles signify unfinished scenes. Use the hint button in the bottom left corner to get a hint about where an item is or where to go next. Sometimes the hint button will say “Free Hint” and you can get a hint about where to go next by clicking it. Lastly, when you play it with your friends, you will get some basic strategy guide, which is very helpful for you to play games in the future.